Bass guitars possess a huge dynamic range and produce powerful low frequencies. Designed for and by bassists, this compact compressor/sustainer features fully adjustable controls that can subtly transform the dynamic qualities of a bass guitar or take them to the extreme. 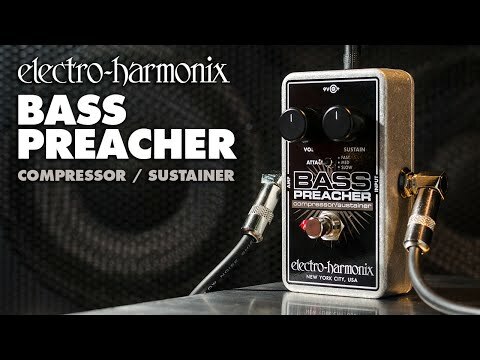 From transparently leveling out notes so they sit in a track to creating an intensely squashed sound, the Bass Preacher helps spread the gospel of great bass tone!